Really impressed on my experience here! Mike is the best!! He gave excellent customer service, informs you about anything you may want to know, is fast and great to work with!! I was so nervous to look into going to Karl Malone (Heber Location) but i was shocked with how amazing people were they listened really well and also they went above and beyond for us! Going through the truck to make sure everything was up to par before taking it. Any time i called to find out any information on my loan with they they were always very nice and informative! Jordan, Gary, and Bruno are amazing! I am happy to say i will be coming back for my next car! I got a great deal on an excellent new truck, I couldn't be happier! If you are looking for a new truck you must check out their pure country pricing! Mike is such an amazing salesman!! Amazing deal I got for my car for such a great price and wonderful rate!! Mike helped us find the vehicle we we're looking for. He was very knowledgeable and no pressure. 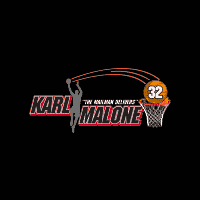 The whole team at Karl Malone made the buying process simple. Would definitely use them again.